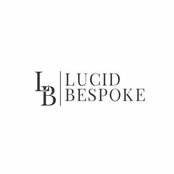 Here at Lucid Bespoke, we build custom upholstered furniture from Headboards, benches, built ins, banquettes, to window treatments such as drapes, cornices, roman shades and much more. Don’t see a piece in our shop that your looking for or that does not match your decor? Let us make something special and unique just for you! You pick the fabric, you pick the style, and we do the work! 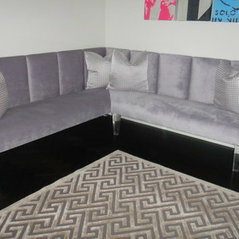 We make our own lucite legs, that can be attached to benches, ottomans, tables, beds etc. We have our own styles, and can custom make per your exact dimensions. We are dedicated to our client’s visions and want to help make them come to life! All of our pieces are handmade, handled with care, and made with love and with our hearts and hands. 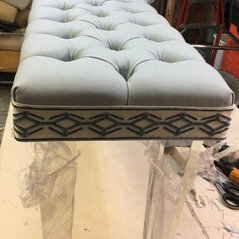 We aim to please and work closely with each client to ensure they are 100% satisfied.Please let us know if you are looking for something specific or would like to request a custom piece. Don't hesitate to contact us if you would like more information, we love hearing from you!! ....and most of all we love happy and satisfied customers! All of our products are made in NYC - USA. Kommentiert: clear acrylic legsCheck out Lucid Bespoke for custom lucite legs.